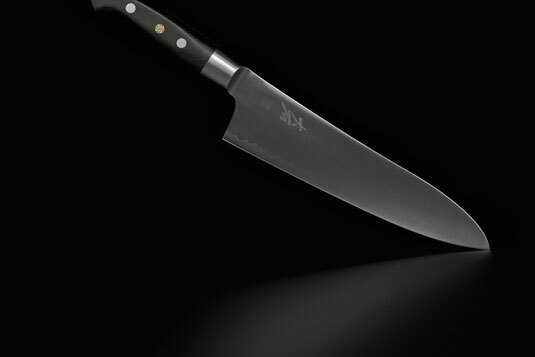 Our new Ohishi line impresses by a new dimension of blade hardness. This is resulting from the unsuspected lasting and very hard ZDP189 steel, which makes the edge durable and does not need frequent sharpening. The mosaic pin in the middle of the handle is exceptional and gives these knives the “special touch”. Core: ZDP189 steel, hardened to HRC63-64.